Travel is freedom. I can be almost anywhere in the world. For now, I have chosen to be in Israel. I can be almost any place within Israel. CouchSurfing.org hosts are plentiful and I have friends around the country. Braving the cold at 2pm to take this photo. 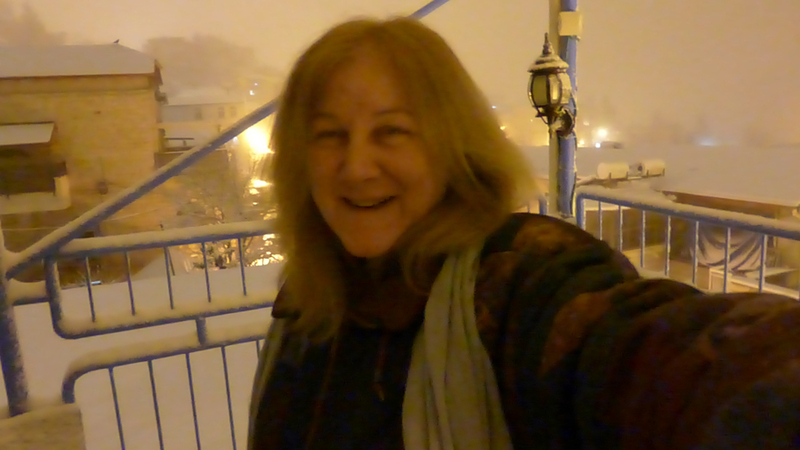 But for some reason I have not fully figured out, for the second time this year I have elected to remain in Tzfat — up on one of the tallest mountains in Israel — despite the fact that I am well aware that there’s a storm coming. As I write this, I am working in a rooftop office — and on all sides it sounds like there’s a tornado happening outside. Tin roofs being torn up and flapping. Winds shaking these dual offices. Freezing cold air surrounds me as the small electric heater has only a small reach. Last night as I tried to sleep, my feet were ice cold. That’s with the heat on and with my feet inside the well-stuffed narrow foot part of my down mummy sleeping bag and another blanket over that. One night, in an effort to heat the freezing cold sheets under the covers on my bed, I used my hair dryer — and the dryer was so overworked that it stopped worth. Someone usually also posts this on Tzfat page. Current announcement: please see attachment. What’s particularly interesting about my decision to stay is that I could have easily gone south within — just a few hours by bus — and been in warm weather. Tel Aviv, very warm Eilat…. As a flexible traveler, I have always tended to travel from summer to summer, staying warm. Yet here I am being so cold — wearing a winter coat I was given, with a warm jacket I’d bought underneath and long-sleeved shirt I was given under that. 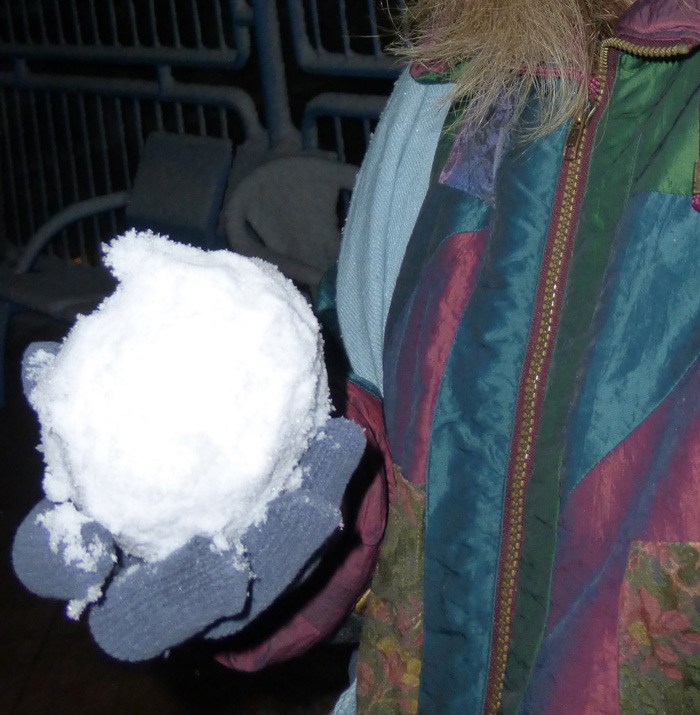 Well, travel is about new experiences and I hadn’t experienced snow in Israel….